Enjoy a hike through a portion of James River Park with a stop by our Visitor Center at Reedy Creek. Environmental Educator Tyler Twyford will meet the group at 9:30 at Reedy Creek Visitor Center 4001 Riverside Drive, Richmond VA 23220 for a guided walk along the river and through singletrack trails. Visit The MathScience Innovation Center is proud to be the leader of K-12 math and science education for central Virginia school divisions, featuring specially designed classrooms like the Challenger Center, the Weather Room, or the Aquarium classroom. The MathScience Innovation Center is a leader in STEM education in Virginia! The group will meet at the MSiC at 2401 Hartman Street Richmond, Virginia, 23223 at 9 AM. Starting at 10am at Maymont. Animal encounters in educational programming provide opportunities for connecting people to nature. These connections and content comprehension can be further strengthened by encounters that demonstrate an animal’s natural behaviors. On this field trip, you will experience how Maymont’s Manager of Animal Training has utilized positive reinforcement to develop impactful and engaging animal presentations for public and school audiences. The program will last approximately an hour in duration and participants will have access to the Nature Center afterwards. To further your Maymont experience, the Mansion provides free tours beginning at 12:00pm. A special tour of the Science Museum of Virginia is offered Saturday February 9th. The preregistration price is $9.50. Board of Trustee member, Dr. Richard Groover will meet the group at 10 am, for a partially guided tour, and general public access to the open exhibits. The large exhibit of “Speed” is a big highlight. Attendees will need to provide their own transportation to the Museum at 2500 W Broad St, Richmond, VA 23220. Many great restaurants for lunch are available in this area. comprised of 494 acres of hardwoods on a bluff overlooking the tidal James River. The award-winning Education Center became the first LEED Platinum building in Virginia thanks to its array of features: geothermal heating and cooling, solar electrical power generation, sustainable building materials, a vegetated roof, advanced water recycling, rain gardens and landscaping with native species. Come learn how the center provides a unique space for biologists, ecologists, and curious students. 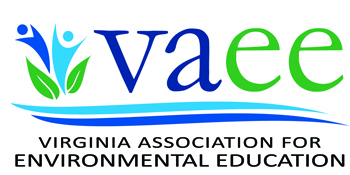 The Virginia Association for Environmental Education is a 501(c)3 non-profit organization.